When it comes to landscaping in Paradise Valley, people know to call Desert Environments. We do it all, and we do it right! Whether you already have a landscape design in mind or are landscaping from scratch, Desert Environments can help implement whatever you decide on. Our expert landscaping contractors work with you on ideas for installing design features for an outdoor environment you will love. We can do everything from efficient, low-maintenance plants all the way up to your own mini-golf course. We can set up a full outdoor kitchen, ponds and lighting features, fireplaces, and swimming pools. At Desert Environments, we have everything you need for a Paradise Valley oasis! 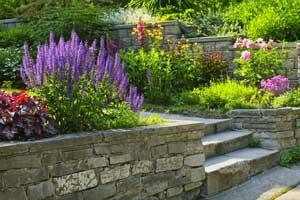 Desert landscaping takes special knowledge and experience to be successful. The same goes with planning the right design. It needs to be done just right to really compliment the space as well as speak to the character of the owner. Our landscapers in Paradise Valley spend time getting to know a space before the work begins. We take a look at the surrounding environment. We listen to our customers and find out what they most want for the space. Then we work as a partner to develop the best design possible. When people want a business with the experience and excellent customer recommendations to ensure their landscaping environment will be effective and elegant, they know to call Desert Environments. Our landscaping company has over 25 years of experience in the Paradise Valley area, and no one does it better! Check out our portfolio as well as our local reviews and find out why we are the go-to name in landscaping in Paradise Valley! When the work is complete, you will have a landscape you'll enjoy for years to come. Contact Desert Environments today to see how we can create a dream space for your home or business. Paradise Valley is home to more than 12 resorts, plenty of golf courses, and grand homes. It is an oasis in the desert and a popular place for folks escaping the winter from colder climates. Just minutes away from the larger city of Scottsdale, there are plenty of ways for visitors to get out and enjoy some sun. However, when a person grows weary of the sun, all those Paradise Valley resorts come in handy. Finding a place to pamper yourself is about as easy as it is to find a McDonald's in other towns!